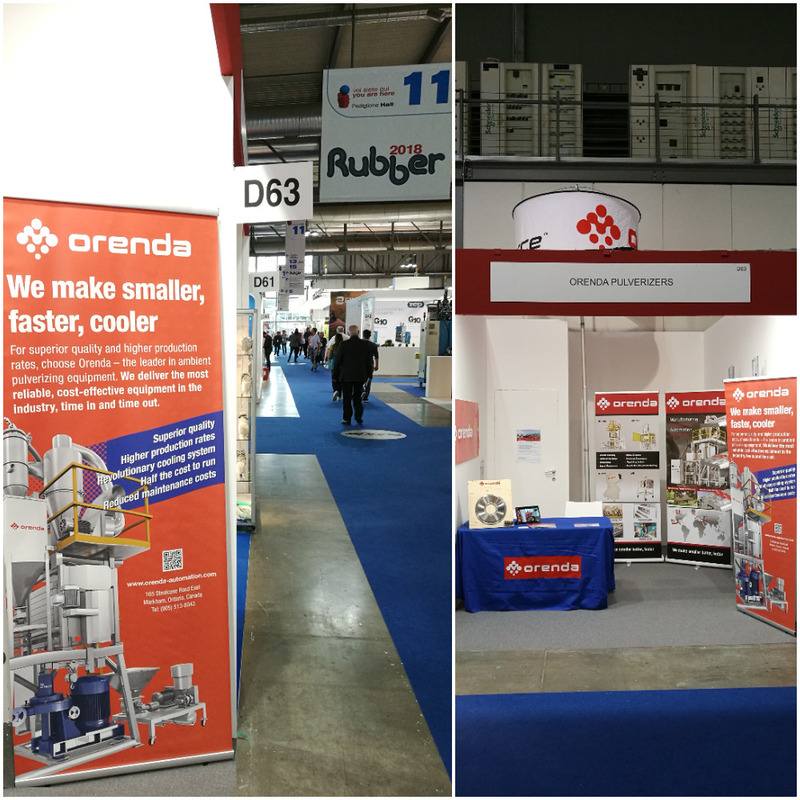 PLAST 2018 - Orenda Pulverizers Inc.
May 29th – June 1st, our Orenda Europe sales team was at the Firera Milano Spa, in Milan, for Plast 2018. Plast 2018 is one of the largest and most important exhibitions for the plastics and rubber industry in Europe. It’s only held in Milan every three years and showcases a variety of different machinery, technology and material production for the manufacturing industry. We’d like to thank everyone who stopped by our booth to learn more about Orenda’s revolutionary AirForce pulverizers. It was a great opportunity to get to connect with many new and existing customers, and we are very glad to have been a part of it.